Rockford Woodcrafts is a small woodworking shop individually owned and managed out of Rockford, Illinois. Our products stand out from the competition because of our drive to have the most eye catching and unique designs, using the best raw materials and putting our signature touch in the selection and assembly process to create your very own original piece of art. We handcraft each piece one at a time, and this attention to detail that leaves a fantastic finish. Rockford Woodcrafts uses the best locally sourced hardwoods available along with unused scrap from local furniture makers and commercial shops. We also only use F.D.A. 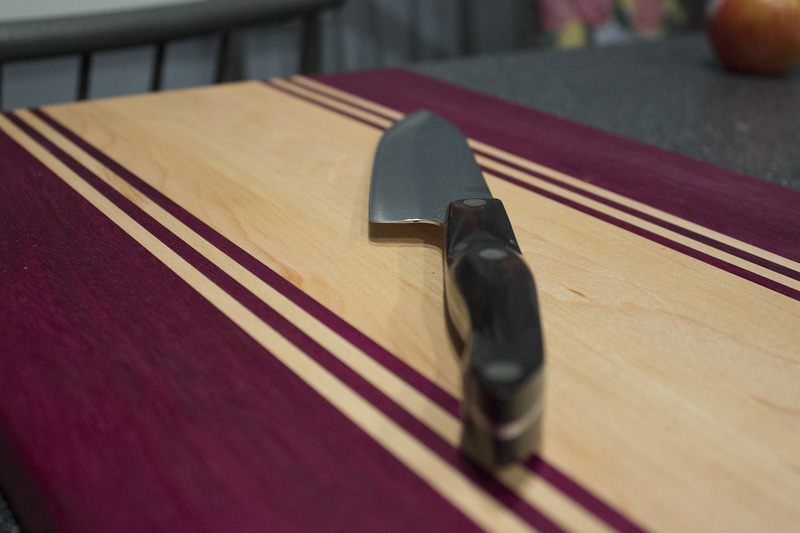 approved woods, glues and finishes on all products that may come in contact with food. 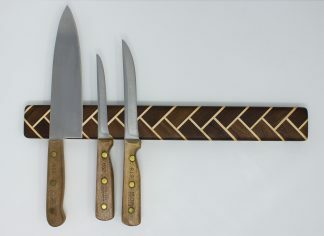 There are many wooden kitchen products that use materials that may look stunning to the eye, but will degrade in mere months or that are unsafe to use with food. Our products are designed to last for generations. 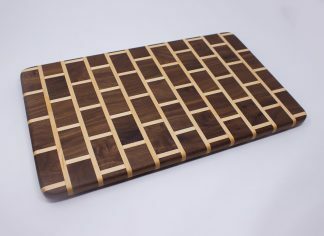 YOUR Cutting BOARD DOESN'T HAVE TO BE "PLAIN JANE"
Why not have one that’s as beautiful as it is functional? A functional work of art! 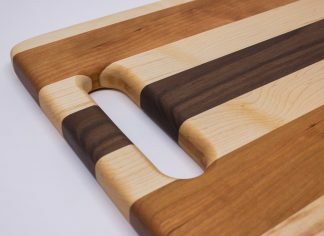 Rockford Woodcrafts provides cutting boards in many styles, colors and sizes to provide you just the right balance of utility and “wow”. Perfect for wedding, birthday, and house warming gifts! 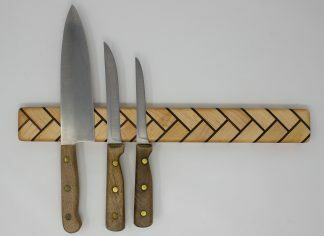 Checkout some of our eye-catching designs of our magnetic knife holders. 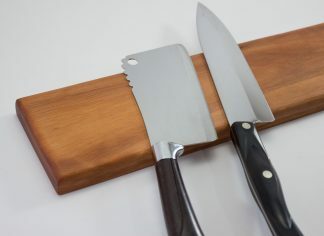 These are meant to save counter space, keep your knives from getting marred and dull in a drawer, or dirty in the dark slotted knife block. Great for quick access when all you need a is a couple cuts! We love custom orders! Our primary focus is on household accessories but don’t hesitate to contact us to get that special piece made just for you! 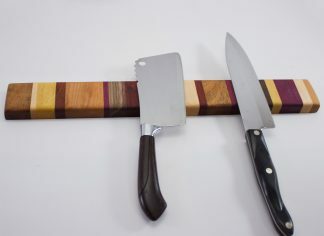 To help counteract some of the use of wood in our products, we plant trees for every cutting board that we sell. Giving back more than we take from the planet. You too can help with the reforestation by donating to the National Forest Foundation where each $1 goes toward 1 tree.